14 August 2012 by . 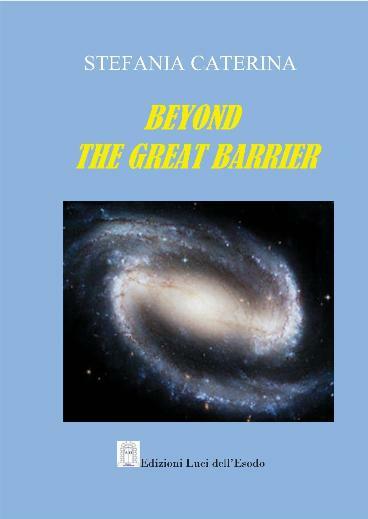 by visiting this site and reading our books, you have certainly seen how God revealed many things through us, in order to broaden our horizons. We are not saying this to put ourselves at the centre; in fact, we consider ourselves simple instruments in the hands of God. During all this time, we did not present isolated phenomena, nor have we given you signs to make you dependent or to interpret them subjectively. We have provided a READING KEY, which is one and only one, and that allows us to understand what is happening and what will happen in the universe: JESUS CHRIST. Jesus Christ, the Lion of the tribe of Judah, sent by the Father, was sent to Earth to subjugate the whole of creation to God the Father, subjecting it to the laws of pure spirit, so that all creatures are be transformed into new creatures. Therefore we have invited you to participate in the work of Jesus as priests, prophets and kings, always through the Immaculate Heart of Mary. Just recently, a few days ago, Mary Most Holy and Jesus told us about the times that lie ahead. Later, Saint Raphael the Archangel gave a deeper explanation of certain aspects touched by Jesus and Mary. We wish to present, here below, these three messages. We are sure that they will be useful to you in order for you to find your proper place in God’s plan. From your positioning also depends the ability to understand God’s action in all its significance. You will not be able to understand if you will not allow the Spirit of Jesus to guide you and enlighten you. God is waiting for an answer from all humanity, whether it will accept Jesus Christ and be united with Him, participating in His action or not. The year 2012 is a year of great decisions for us all: we must definitely make a choice, on which side to stay, by leaving aside egoism and easy compromise. God is waiting for an answer particularly from the humanity of the Earth, which is always slow in responding to the call of God, to the point of slowing down the path of the other humanities. God cannot wait endlessly for our decisions. It is time to decide! Jesus foretold all this in the message of September 23, 2011, published on this site. The walk of the humanity on Earth is slow and difficult, despite the many graces that are given, particularly in this year. According to what has been revealed, the Earth slows down for two reasons: 1) a large part of our humanity does not accept the graces that are given to it, and does not cooperate with them; 2) it does not even accept the instruments that God has provided, and does not enter into communion with them, on the contrary, it behaves with indifference or outright hostility towards them, as evidenced by the events of the prophets and saints, always persecuted and often got rid of. The Son of God Himself, Who came to reveal the Father, did not undergo a better fate. The men of Earth do not accept the Blessed Virgin Mary as well, which was given us as Mother; if they accept Her, they do so primarily to be helped by Her to meet their earthly needs. The year 2012 is coming to an end; God is awaiting from us all that we decide to live according to His laws, in order to be ready for the events that will happen. We do not know them in detail, because the Lord reveals His plans a bit at a time, to the extent that we are ready to understand them. But we know, however, that they will happen, because the Lord has to intervene in human history, to pull it out from the corruption that is spreading more and more: “God must reign as the only Lord, while Lucifer must go and occupy the place he deserves. The Father will intervene through me …” Jesus said this in themessage of the year 2011 that we mentioned. We gave you testimonials of what has been revealed to us. We invite you once again to a clear and definite choice, in order to be ready for what is awaiting us beginning next year. We offer ourselves to God and pray for you. We bless you in Christ. ‪This message has been given on the eve of the birthday of Mary Most Holy. 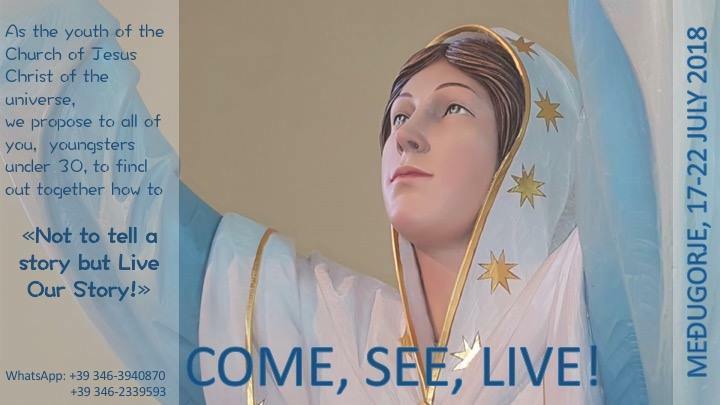 ‪In Medjugorje, Our Lady revealed to be born on August 5, and has repeatedly confirmed to us this date, as the day of Her birth ..
‪”Dear children, first of all I thank you because you want to celebrate with me the day of my birth. ‪In truth, this is the feast of you all, because I am born in every one of you and each of you is born in me, thus is born to the life of God. Know, my children that my only real and great joy is to be able to donate you to God. When a person accepts to donate himself/herself to God through me, he/she makes me joyful; and it is with joy that I offer you today to the Lord, I offer you as a flower before the throne of God. ‪I would like to tell you this: very hard times are coming up to humanity, not because God wants to punish you, but because the choices of men are bringing humanity into hard, difficult trials. You should not be frightened because of this. ‪I will always be beside you, and God will not allow anything bad to happen to those who offer themselves to God and who want to serve Him. ‪Unfortunately, many children, those further away from God, will suffer greatly. ‪My heart is sad because of this. ‪However, through these trials, God will permit a great purification of the whole universe. ‪It is necessary that the universe returns to my Son; without My Son, there will be no hope for anyone. Today I invite you, as beloved children of God, to have no more hesitation or doubts, but to dive into the arms of God with all your heart, without any more discussions, without analyzing anymore, so that He might dispose of you according to His goodness and His wisdom. ‪Lay aside all inner problem, leave it in God’s hands and you, like children, dive into the sea of His love. ‪God can solve your problems, you cannot. ‪Therefore let His hands free to act within you, and He will do it. It is necessary for the children of God to wake up now, to be ready for the events that are awaiting us. ‪I am among you. For this reason I am saying: “awaiting us”, because I will be walking by my children’s side, in the midst of my people. I thank you and bless you so that you might have the strength to do what I am asking, that is, leaving everything in God’s hands, without worrying any longer. Close the eyes of your soul and take them away from any problem and tribulation, and let God free to act within you. ‪The Lord will take care of you and everything you need; you think about Him. ‪“Children, I want to bless you today with a special blessing: the blessing of your transformation. This transformation goes hand in hand with the action of my Mystical Body. ‪Be aware, my children, that the more you are revealing Me, the more you are forcing Satan to reveal his work; indeed, the action of God’s people, the action of the nuclei, works in such a way to further push Satan in the corner, up to force him to manifest the Antichrist. It is necessary for this to happen. ‪Lucifer, in fact, would never take the decision to give up so much of his power to the Antichrist, and is trying in every way to avoid it. ‪On the other hand, I’m pushing the nuclei and all My people to an action that makes Satan and his Antichrist come out into the open. ‪Do not be surprised then, if with your word, or with your own life you are provoking evil to the point of bringing it into the open, this is necessary. ‪Those who truly proclaim Christ, at the same time are forcing the Antichrist to become manifest. We are at a crucial stage for humanity, precisely because the figure of the Antichrist must come to the surface, which will mark a turning point in human history. In fact, the moment when Satan will be forced to surrender much of his power to the Antichrist, will mark the beginning of the end: the end of this time, of this civilization. ‪It will be the end of an era that will have to make way for the new creation. ‪Fear not in any way Satan! ‪For you have received all power, all the grace to deal with him. Only by facing him you will be able to save many people from falling into his grasp, because at this moment the action of evil is strong; but do not concentrate on this, concentrate on your action of doing good, on the transfiguration of your whole being and of all the people with whom you come in contact. ‪Be happy to participate with Me in this great work of the Father! The work of the Father is very powerful at this time. ‪It takes place through Me, in the power of the Holy Spirit, but also through the people of God. ‪The signs will come at the right time and at the right moment; however you are the first sign. Your life, in fact, is the first great sign that exceeds all others, because a transformed life raises many questions in people, more so than an outward sign. ‪The latter, after the first moment of enthusiasm, is forgotten, but the life of a transformed person is not forgotten. ‪Therefore, make sure that people are not coming to look for you, but make sure they are coming to look for Me inside of you. ‪Then the whole humanity of the universe will be looking at you, and will see people in whom God abides. When John the Baptist preached precisely this was happening: people were not looking for a man, but for God who lived in that man. ‪Therefore be a holy temple; and this will be the undeniable sign of My presence and of My actions. ‪“In the last few months of this year 2012, God is ‘pressing’ the humanity of the Earth, to make a decision. ‪When I speak of humanity, I mean, first of all, the Christians of the Earth, as well as people of good will who do not belong to Satan and not follow him, because for those who follow him, there is not much to do anymore. We then speak of God’s children on Earth, for whom the time of the final decision for the kingdom of God is coming ever nearer. ‪God is asking for such a decision, because He must set a deadline to mankind of the Earth, which, if left to itself, would never come to decide for anything. Your humanity is marked by a great contradiction: on the one hand, it is rebellious to God, on the other, is passive. ‪Those who rebel, do not listen to reason; those who do not rebel remain passive, expect everything from God, they want God to do what they, themselves do not want to do. ‪For this reason, the time has come when God puts a time limit to this humanity, measured according to your conception of time and, therefore, to your calendar. On other planets, the time is calculated in other ways, however, as you were told, the world awaits the decision of the Earth and is adapting to the rhythms of your time. ‪By the year 2012, your humanity must decide if it wants to accept Jesus Christ and be subjected to Him. Only then, it will be able to enter into a new dimension, where the laws of pure spirit are at work. Only the decision of humanity to accept Jesus Christ, can mark your transition to a different dimension, which some call civilization leap, other call it expansion of consciousness. I say that this humanity will have to be elevated in spirit in order to enter into a more spiritual dimension. The dimension in which you are living today is basically a material one, in which the laws of the spirit function with difficulty, because they are neither understood nor accepted by the majority of people. This gives rise to a high degree of corruption, which affects men and creatures of this planet. ‪It is a matter of a qualitative leap, that God has provided so that you can progress toward the new creation. ‪It is only up to God to assess the decision of the humanity of Earth at the end of this year. At this time, there is a great turmoil among the people of God, because the graces that are working on Earth, are particular and very strong, and are given by God precisely to help you decide. ‪Everything will depend on the ability of men of good will of the Earth, Christians first, to lay aside earthly things such as theological discussions, doctrinal disputes, existential doubts, etc., etc. in order to dive into the newness God is opening up before His people. Let me give you an example: you have been told that there is a Central Nucleus; well, instead of entering into communion with this instrument that can help you, you get lost in discussions to determine whether or not there is the Central Nucleus, here it is that you lose precious time and you remain behind. ‪In the meantime, in fact, God’s action does not stop; whoever has decided will go ahead and will be able to comprehend more and more. He who does not want to decide will remain back, and he will get to the point of not understanding anything. ‪What will happen if humanity will not decide to finally believe in Jesus Christ, not only in words, but by fully living the mystical union with Him, putting His words into practice and taking the steps that have been pointed out to you? It will happen that God will provide otherwise. ‪The task of proclaiming salvation to the whole universe will be entrusted to the humanity of another planet, chosen among those faithful to God. Then you will be the one having to adapt to the rhythms of that humanity, and not vice versa as it happened up to now. Know that the humanities faithful to God decide very rapidly and execute the orders of God quickly. It does not take them thousands of years as it does to you. ‪No one knows, what God will decide at the end of this year, nor which humanity will be chosen in your place, if needed. All depends on the response of His children of Earth, if they will be sufficient in number to carry out the programs of God. God will decide depending on the response of your humanity. You have a great responsibility, but you also have great graces; therefore strengthen yourselves and continue your journey faithfully. Not great works are asked of you, but a deep faith and great sincerity. There is no more room for ambition and hypocrisy, there is no more time for human cunning! ‪Walking in the newness which the Holy Spirit is opening before you is the essential condition without which you are falling back into religious sentimentalism, in pious devotion. Instead, it is necessary that you reach that true knowledge of Christ of which St. Paul speaks, “… we will not consider anyone by human standards … So for anyone who is in Christ, there is a new creation: the old order is gone and a new being is there to see“. One needs to know Jesus Christ in the Holy Spirit, who moves all things in the soul as in the entire creation, since this brings about a true transformation of your being in the image of Christ. The Earth’s humanity, unfortunately, is still far away from all this. ‪The extraordinary instruments of this time, that is the Angels, the Central Nucleus and the brothers of the universe faithful to God, are called even now to live the mystical union with Christ, to stand face to face with God, to possess an immediate knowledge. All others must follow the same path. One cannot come to understand and live the newness of this time, without the sincere adherence to the Spirit of Christ. ‪This should happen in each nucleus: if each member and all members of a nucleus, live united to the Spirit of Christ, and offer themselves to God through Mary Most Holy, they begin a journey that surely brings to a new dimension of the spirit. ‪On the contrary, if there is no real union with Christ, the path becomes very difficult. ‪The nuclei of the Earth experience greater difficulties than those of other planets. In fact, they must divest themselves of many superstructures of which the Earth is full. ‪In particular, a Christian on Earth, takes upon himself the weight of the ecclesiastical organization that includes many human precepts. ‪Instead, the brothers from other planets who have accepted Jesus Christ, are free such superstructures and walk quickly because they are not heavy burdened. ‪To divest oneself of superstructures is very difficult, and often it causes a tremendous sense of guilt, because people are not able to discern properly and identify man made precepts with the divine precepts. This is the tragedy of the Earth! Several times we were told that the Earth is a crucial planet in God’s plans, given that our humanity witnessed the death and resurrection of Christ. However the Church, God’s people on Earth, has been charged to bring the message of salvation to the whole universe, in the time and manner established by God. Since the coming of Jesus on Earth up to today, the humanities of other planets have been waiting for the humanity of Earth to move in that direction; this waiting time has been measured according to the time of the Earth. ‪The other humanities, have adapted to our times.